Bathing in hot spring water, or oncheonsu, and partaking in spa activities has long been loved by Koreans even from ancient times. This unique culture is often seen as medical treatment due to the proven effectiveness in relieving stress, as well as helping to recover one's body from fatigue, muscular pain and many others ailments. The long list of benefits of Korean saunas have led to a growing number of visitors from abroad to include a spa activity in their itinerary, thus more facilities are opening in many regions around the country. Spas have also become increasingly popular among Koreans due to the many modern establishments that offer excellent amenities, and serve as a place for families and friends to enjoy some downtime together as they relax. Korea offers a wide variety of hot spring facilities: conveniently-located urban oncheon, health-centered rejuvenation oncheon, open-air oncheon with views of the tranquil natural surroundings, upscale spa resorts where one can de-stress in a soothing environment, and even water park-integrated hot springs that have a variety of fun water rides. Overall, these diverse themed oncheon facilities provide "healing" getaways effective in treating dermatitis, assuaging symptoms related to sleep deprivation, high blood pressure, neuralgia and more. Even kings of the Joseon Era stopped and came to rest at these hot spring destinations listed below during their long journeys. Hot springs can be found throughout different areas of the country, allowing travelers to soak in and relieve stress away from home. Although hot springs are located near almost every major tourist attraction, they do not always come with accommodations or high-end personal services. As such, visitors looking forward to quality service and exclusive treatment may opt for spa facilities. Visitors can enjoy leisure spa baths with special preparations, as well as receive professionally-done aroma oil massages. 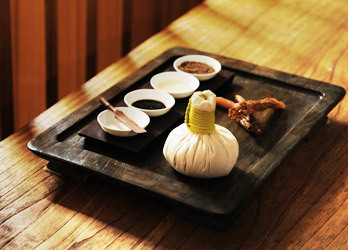 Many of the spas these days provide personally-catered spa programs, similar to five-star hotels. Hotel spas are the ultimate experience in health-oriented indulgence and offer customers an array of luxury spa products and services. Though initially offered as a subsidiary service for hotel guests, hotels have introduced their own spa services and now cater to an ever increasing number of outside guests. Resort spas are usually found away from the city in quieter, more natural settings that help emphasize the overall spirit of relaxation and rejuvenation. 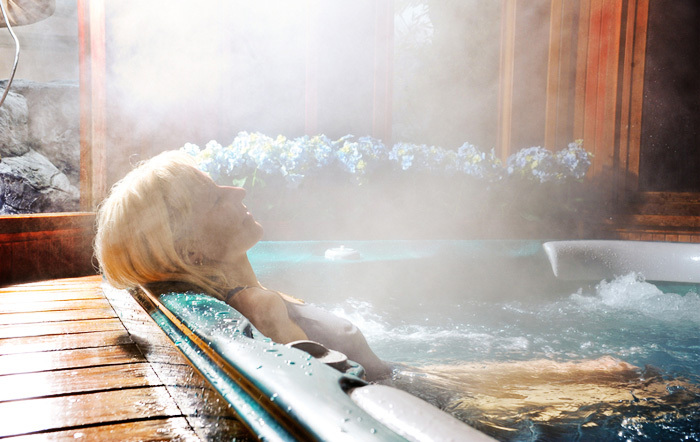 Although it takes more time to travel to one of these locations, resort spas usually offer the benefit of lower prices when compared to hotel spas. Many resort spas are equipped with a water theme park, outdoor hot springs, and indoor spa facilities, attracting family visitors. Medical spas include a variety of spa treatments but usually examine each visitor's physical conditions more in depth, combing spa treatments with a doctor's diagnosis and possibly a prescription. The number of medical spa facilities in Korea is increasing, offering dermatology, plastic surgery, and oriental medicine. Treatments are designed to prevent aging, fight obesity and stress, and bring the body in balance through a combination of healthy diet, exercise, and natural remedies.